White forest. All photos by Kim VanderVoort. 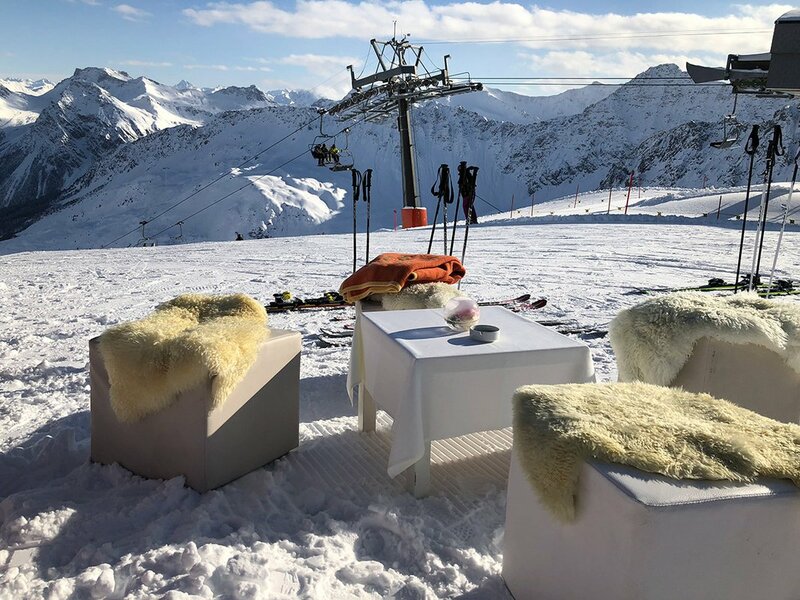 Ski season has kicked off in Switzerland, and Kim VanderVoort was in charming, snowy Arosa — the anti St. Moritz — for opening day. AROSA, Switzerland – There’s a sense that Arosa is more of a snowy fairy-tale setting than a real place. The Swiss ski resort sits in the Schanfigg Valley in Grisons (or Graubünden, if you’re German inclined), the easternmost canton of Switzerland. 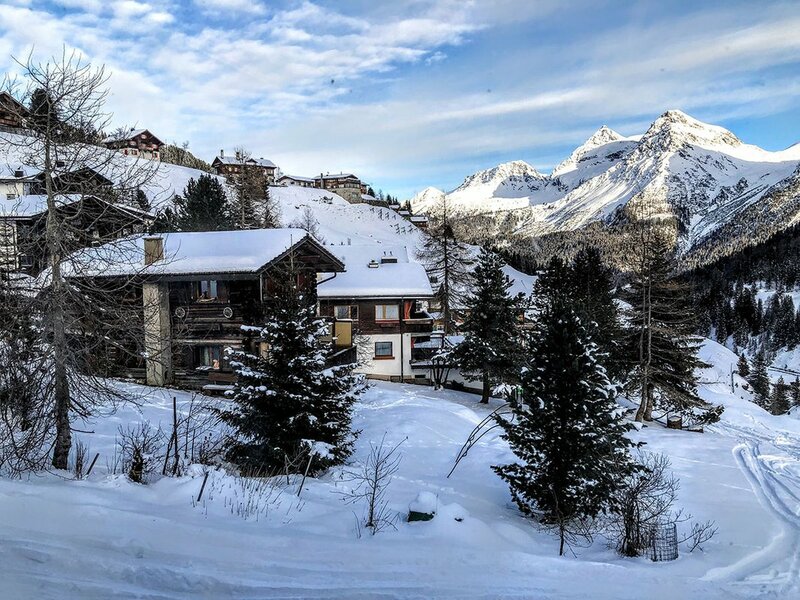 The quaint, unassuming counterpart of Grisons’ glitzier St. Moritz, Arosa visitors come for understated luxury, local traditions, and spectacular skiing. 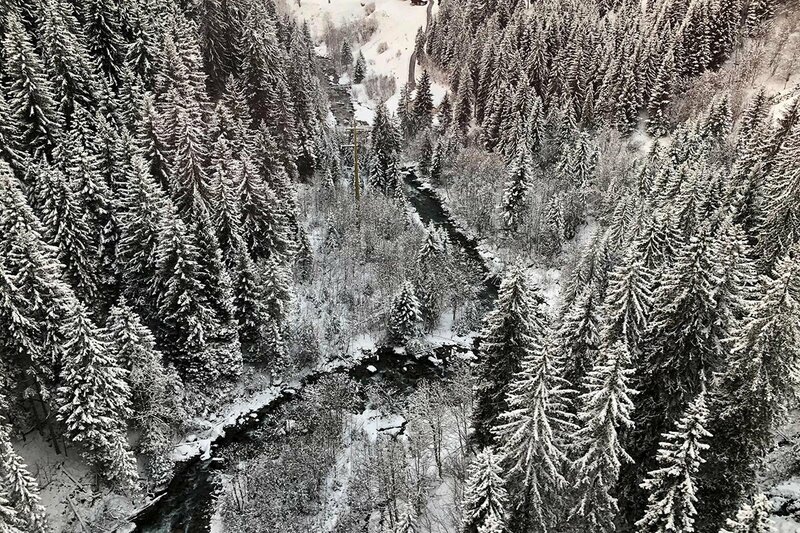 The valley has a long history — one of wooden skis, cheese makers, underdog hockey teams, and traditionalists who resisted the automobile for decades. (It’s well documented in housed in the Eggahus, Arosa’s oldest home.) And it truly is always sunny: Located at the bottom of a wide valley, the old mountain town is mostly protected from strong winds and heavy cloud cover. Clouds may roll in overnight to blanket the landscape with pillowy snow, but the sun shines almost every day. As far as ski destinations go, it’s not hard to get to Arosa. My journey from New York involved one airplane and two trains. So much more than a means of getting from point A to point B, the quiet train rides feel like an essential element of my Swiss holiday, their own mini-vacation. The first leg, from Zurich to Chur, winds around scenic Lake Zurich, offering the first envy-inspiring glimpse of the pastel medieval architecture. The second train, chugging up the mountains from Chur to Arosa, far outperforms the former in scenery. As the train climbs higher and higher, the snow gets heavier and heavier on the pines. The passing marshmallow-y landscape changes so quickly, the window feels like a flip-book. And in true Swiss fashion, the train departs every hour on the hour. There isn’t much to do in Arosa other than ski and eat (and drink and be merry beside cozy hotel lounge fireplaces), but that shouldn’t deter visitors from taking a stroll through town. The main drag goes uphill, so I recommend starting at the top near the Tschuggen Grand Hotel, Arosa’s largest and most renowned establishment and my home for this visit, and walking down, past ski shops selling gear both practical and elegant, a few stores with home goods and gifts, and plenty of spots selling foodstuffs and wine. Though don’t make the mistake I made and save any shopping for Sunday: Everything is closed. Life is easy on the slopes of Arosa. Access to the pistes is available via 13 lifts from various spots in town and along the mountain, though I didn’t feel the need to explore much beyond the top of the Hörnli Express, where I was more than satisfied with the blue and red trail options. Guests who stay at the Tschuggen Grand can take the private 12-person Tschuggen Express, a 530-meter railway-meets-gondola that goes uphill directly from the hotel. The trails are a hefty mix of blue and red levels, with plenty of blacks for thrill-seekers, making it an ideal destination for skiers and boarders ranging from beginner to advanced levels. (For American skiers unfamiliar with the European system, red falls between blue and black.) If Arosa’s many and varied piste and off-piste slopes aren’t enough to meet any powderhound demands, the Lenzerheide Urdenfürggli slopes are a three-minute cable car away. Together, the Arosa-Lenzerheide region has 225 kilometers of trails, making the combined ski region the largest in Grisons. 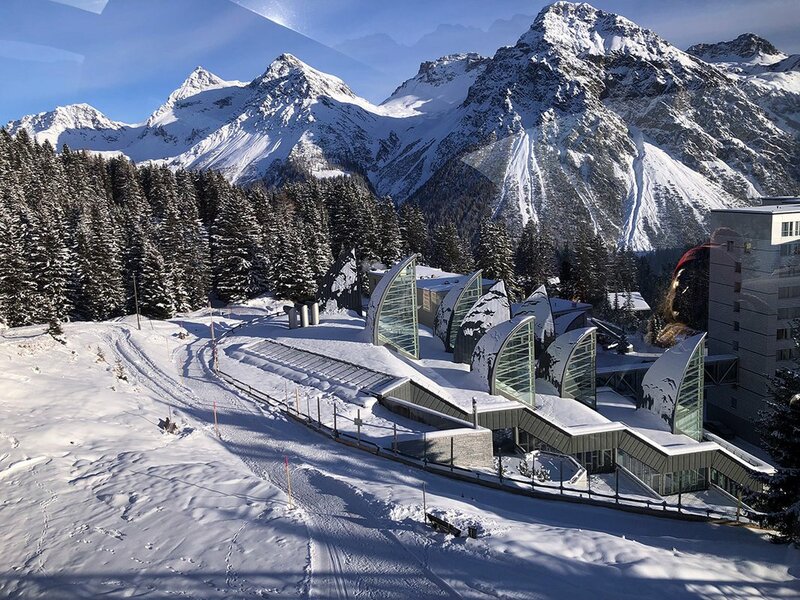 I was lucky enough to be in Arosa on the opening day of the season, when guests of the Tschuggen Grand are offered exclusive access to the slopes. That meant freshly groomed and nearly empty trails — champagne and sausages between runs. Frankly, I was grateful for a little boozy early buzz: It helped calm my nerves my first time on skis this season. I was pleasantly surprised to discover that conditions the following day were much the same, minus the bubbles and links. The slopes were shockingly uncrowded for such a beautiful bluebird Saturday with plenty of snow. 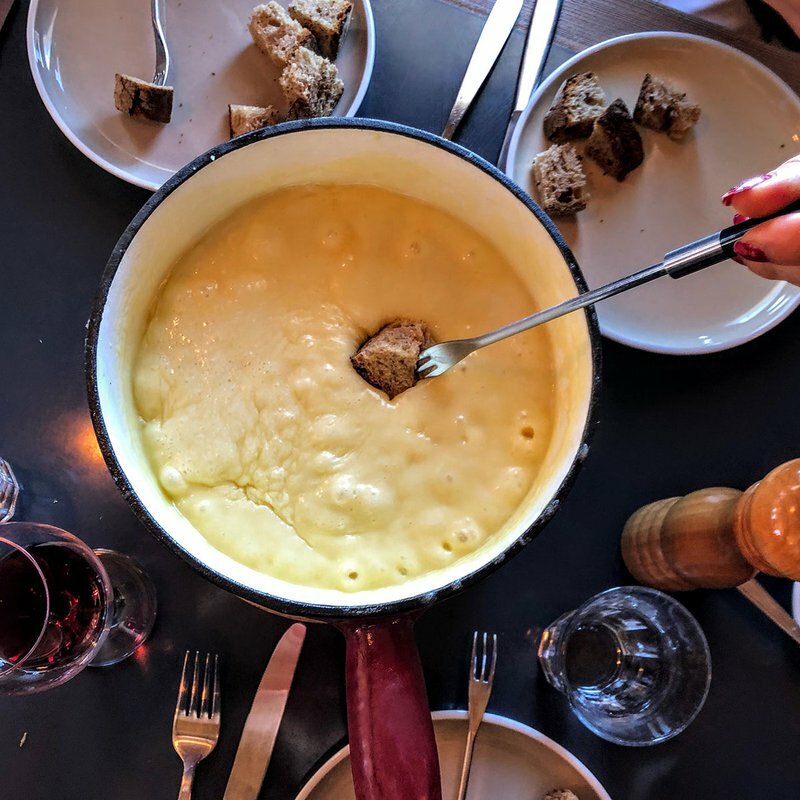 While lunch and après-ski options abound, I found myself enjoying the barley soup, local wine, and fondue at (note: the site is in German) near the top of the Hörnli Express. 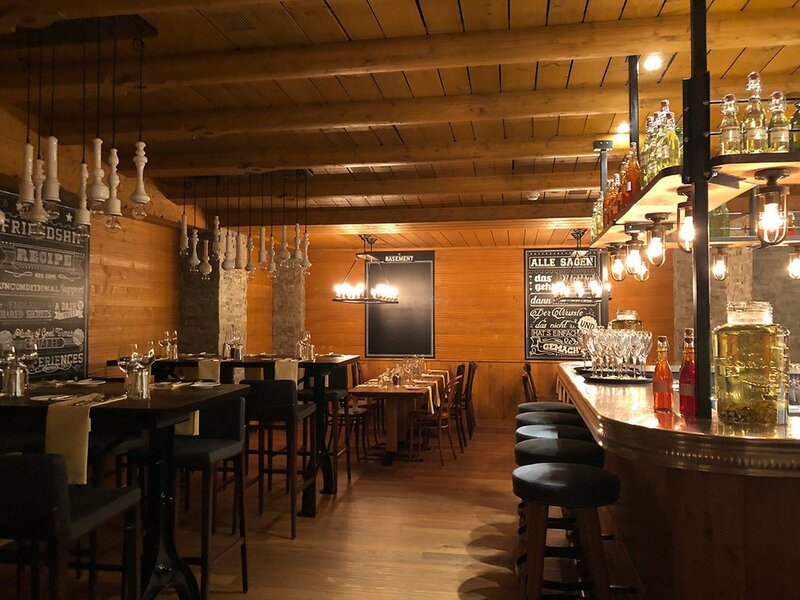 The indoor seating area is cozy (perfect for sharing a cheese and meat plate), while the outdoor section has warm, sheepskin-lined seating and panoramic views of the surrounding peaks. The highlight for me was the one-toilet stall with a floor-to-ceiling window. Personal time with a view. Even for non-skiers, is a destination in itself. Pulling up to Arosa’s oldest hotel, which opened as a sanitarium in 1877, feels like driving onto a James Bond film set. If ever there were a place to wear a fur-lined anything over a sleek black turtleneck, this is it. 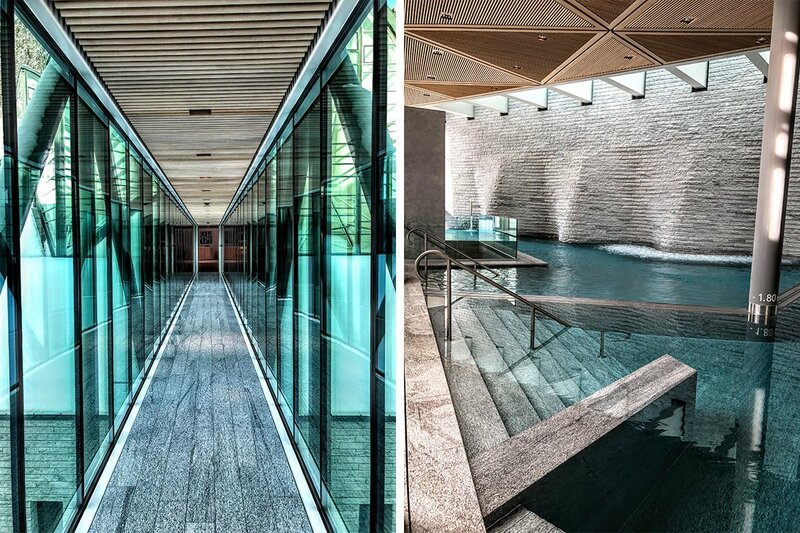 The drama of the eight-floor hotel and 5,000-square-meter spa set against the backdrop of snowy peaks continues inside. 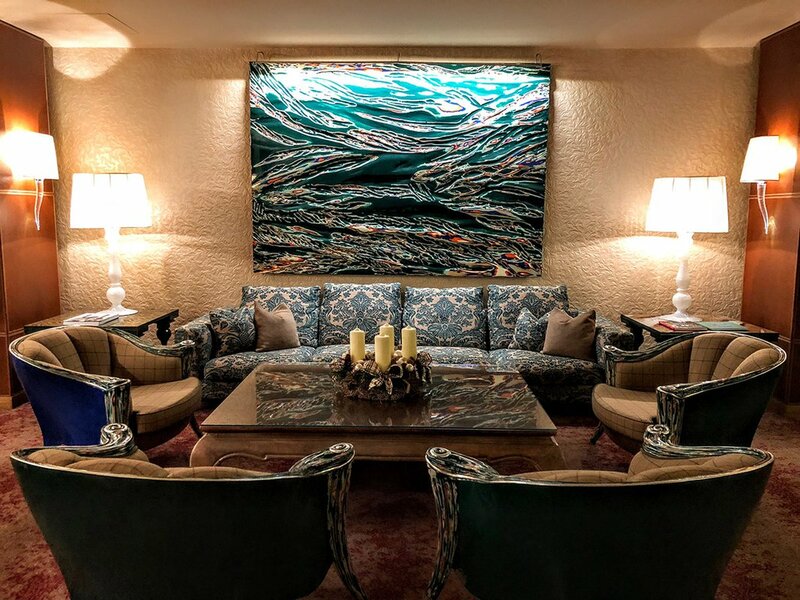 Carlo Rampazzi, the famed Swiss designer who spearheaded the 2004 redesign, has brought the colors and textures of the Swiss Alps indoors. The sitting areas are seasonally hued (cool whites and icy blues in winter, bright greens and teals in summer). A leaf pattern is woven into the carpets. A deer motif appears throughout the hotel, most notably in a mirror the size and shape of a life-sized buck. 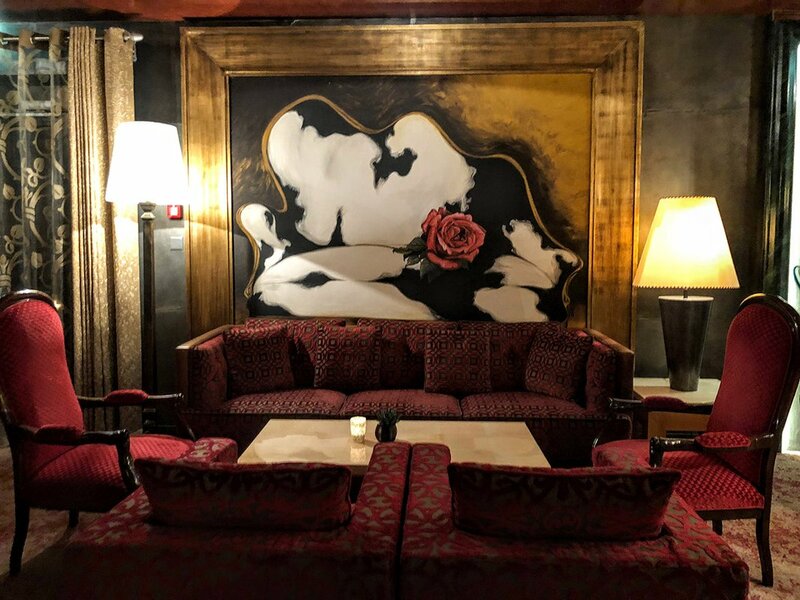 The furniture pieces, individually designed by Rampazzi, might seem eclectic on their own, but coalesce to compose rooms only a design virtuoso could have envisioned. This is no amateur’s work. Summer sitting room in Tschuggen Grand Hotel lobby. Winter sitting room in Tschuggen Grand Hotel lobby. The Basement, one of four restaurants at the Tschuggen Grand Hotel, serves elevated bar fare alongside an old-school two-lane bowling alley. On the left is the mother of a frequent Swiss guest at Tschuggen Grand Hotel, whose family has been visiting for decades. 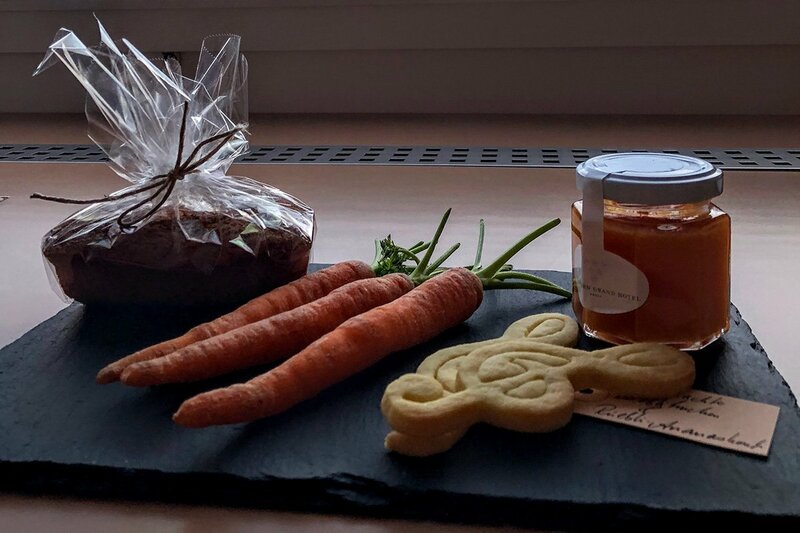 The sweet carrots the Tschuggen Grand Hotel left for me gave new meaning to "snow bunny." Each of the 128 rooms and suites feature more Rampazzi originals — in my room, a quilted headboard and a golden buck-adorned blackout shade. When I pulled up the shade, I was awestruck yet again by the stunning array of peaks outside. From bedside USB ports and top-of-the-line hairdryers to luxurious robes and toiletries I hadn’t even realized I’d forgotten, no detail is missing in the rooms. Even though I was traveling alone, I particularly enjoyed the Swiss tradition of one king-sized bed with two duvets. No more nighttime tug-of-war: Genius. The hotel’s pièce de résistance, however, is the Tschuggen Bergoase Spa, designed by Swiss architect Mario Botta. Its signature geometric glass sails — the most distinctive feature — pull sunlight into the underground spa by day and illuminate it in Arosa’s colors of white, yellow, and blue by night. With an extensive list of treatments, sauna, steam room, and indoor and outdoor pools at every temperature, the world-class spa is a wonder in its own right. While grand in size, the Tschuggen Grand maintains a family feel. Staff treat every guest like they’ve been coming to the hotel for 20 years. 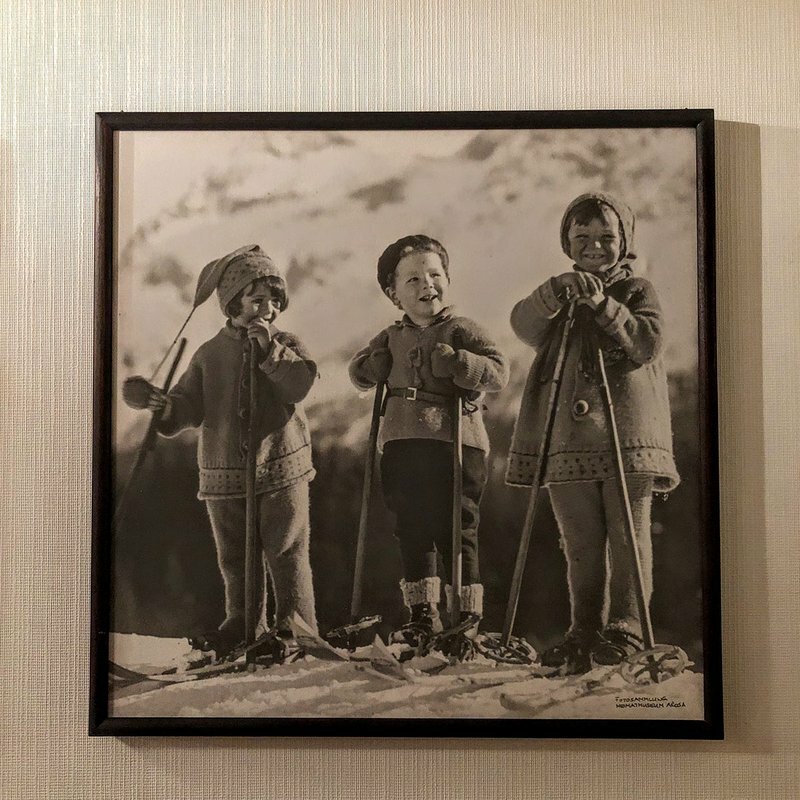 (Many families have been coming for much longer than that, leaving their ski equipment in the hotel’s complimentary storage facility over the summer.) Even the ski shop is family-run. Glass pathway connecting the spa and the spa pool. The impressive spa at Tschuggen Grand as seen from the Tschuggen Express. 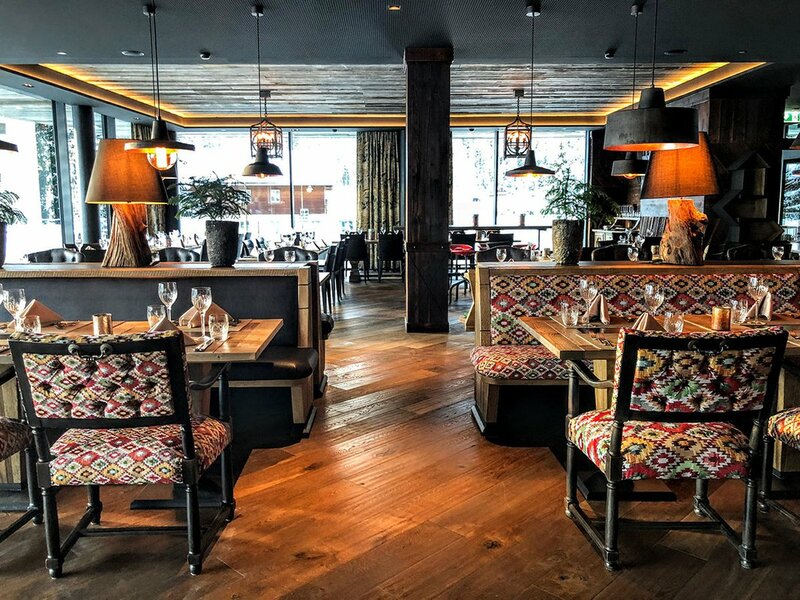 Tschuggen Hotel Group recently opened the more youthful, environmentally-minded , its rustic-chic decor a trendy update on an alpine setting. The glam accommodations, have details that would satisfy any Brooklynite — industrial piping worked into the furnishings, functioning bedside record players, and health-centric farm-to-table fare at (a welcome respite from cheese and sausages). But Valsana’s fanciest new feature isn’t visible to guests: The whole establishment is powered by a state-of-the-art “ice battery.” Put as simply as possible, the underground Thermal Energy Storage (TES) system captures waste heat from the hotel’s other appliances and, in a complex process of freezing and melting above the scientific acuity of this writer, powers the hotel. You say “carbon,” I say “neutral”! Fly to Zurich, then catch the airtrain that goes to the main station, Zürich Hauptbahnhof. From there, take a train to Chur and, from Chur, another train to Arosa. All together, the trains take about three hours. Ski season runs from early December to early April. Avoid the middle of February. That’s when Europeans are all on vacation. 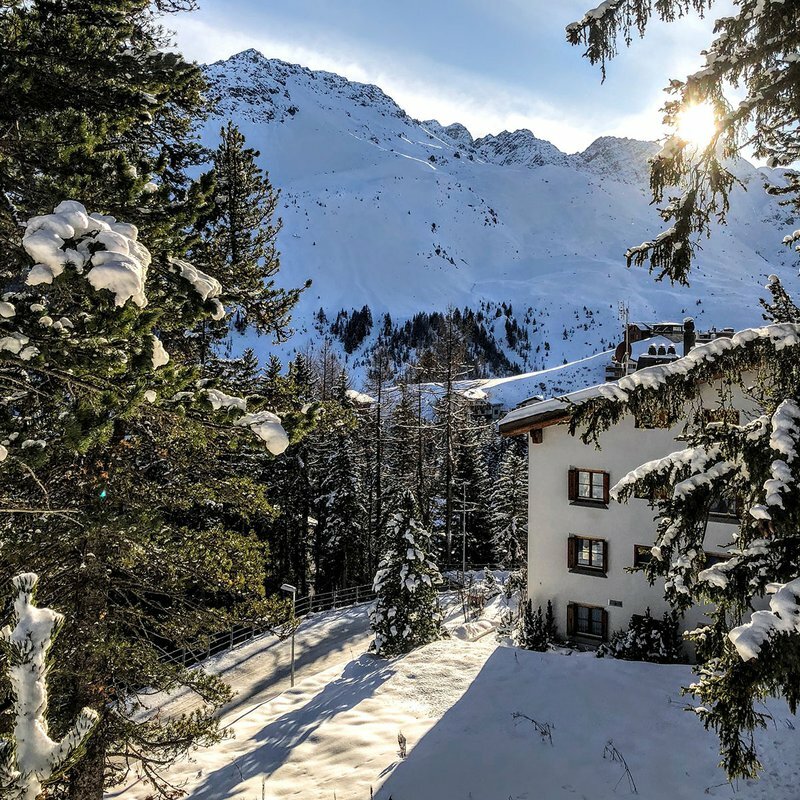 A few hotels (like the Tschuggen Grand) are open during the summer, so if you’re not into winter sports, Arosa is equally ideal for warm-weather hikes through the verdant Alpine landscape. 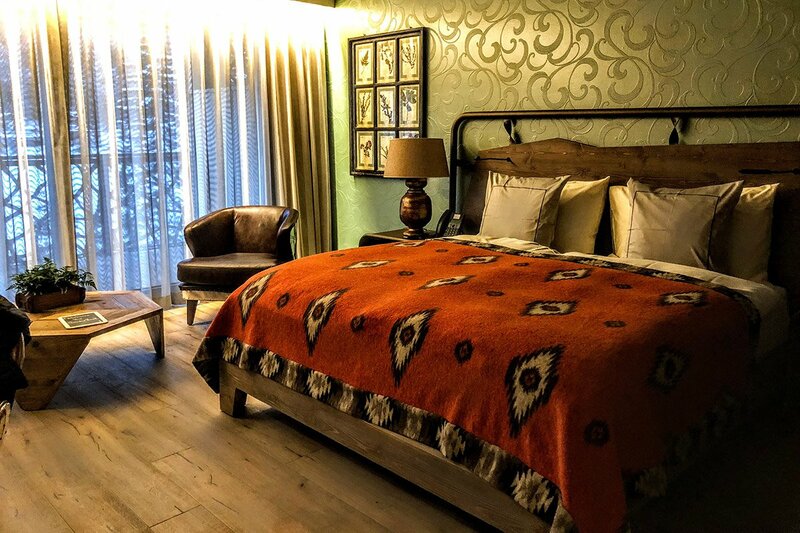 All overnight visitors who come outside ski season can get the , which affords access to seasonal activities, the local history museum, pedalo rentals, the rope park, cable cars, and more. Unfortunately, it’s not available in the winter; only in the summer and autumn. Ready to do this? Email the Gentedimontagna Travel Desk at [email protected]. We'll make this whole trip happen very easily. Kim is a writer based in New York City. You can follow her on . She travels for the moped rentals and reading time. У нашей организации интересный веб портал , он описывает в статьях про просування сайту.